Growing up, I spent a lot of time watching baseball and sports movies. One of my favorite movies was Field of Dreams and I can still remember hearing Shoeless Joe say, “If you build it, he will come.” Those of us who’ve seen the movie recall that it wasn’t an easy feat to build a baseball field in the middle of Iowa when resources were scarce and people didn’t understand why a baseball field made sense. Knowledge management (KM) is a bit like building a baseball field in the middle of Iowa. It’s exciting and thrilling, yet filled with unknowns. So what’s one of the best ways to engage and sustain your program? Get your team in place. Not your KM team, but rather your advocates, your champions, and your believers. These are the people in the field who are continually monitoring business activities and can provide insight into ways your program can support the business. 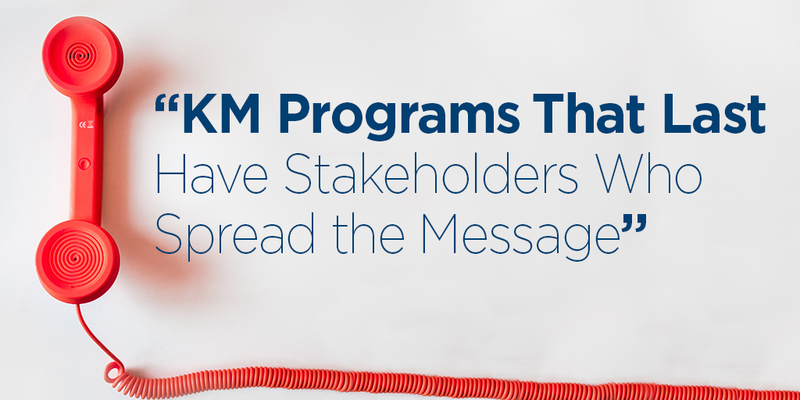 One of the best ways I know to get people engaged in KM efforts is to involve multiple stakeholders early on in the process. Their involvement builds not only credibility, but sets the stage for these on-the-ground advocates within the organization to share the message. Having an executive governance board that can steer the strategic direction and provide course correction based on their understanding of business objectives is critical to evolving a KM program. And in addition to a more formal governance board, establishing a KM council can provide insight into day-to-day activities which allows for the ongoing development of your program. 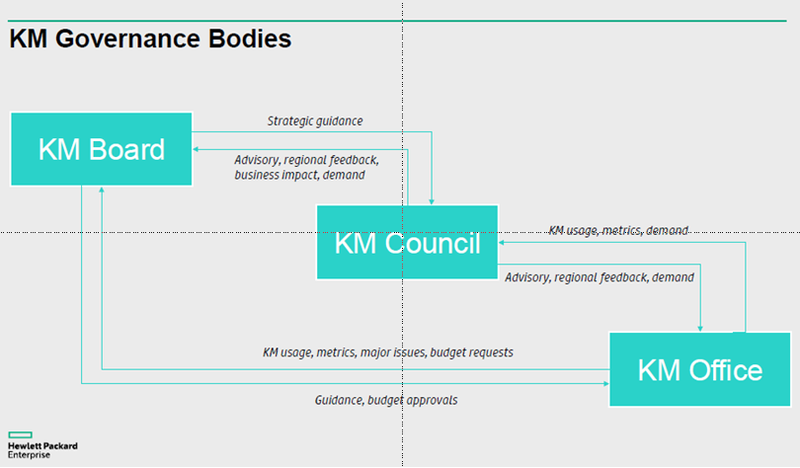 Below, I’ve outlined a potential model (courtesy of Hewlett Packard) which demonstrates how multiple KM teams work together and form a KM governance team. And like many teams, they change, shift, and grow. You’re going to need to continue to modify your team as people advance and move on in the organization. Evolving and sustaining a KM program takes perseverance, but just like in Field of Dreams, taking the time to build your team provides for pretty spectacular outcomes. To learn more about evolving and sustaining your KM programs, join me starting Monday, April 16 for an array of onsite workshops APQC will be hosting in Houston prior to its 23rd Annual Knowledge Management Conference.